A Fort Lauderdale DUI arrest can leave you with so many swirling questions concerns, it’s hard to know where to start. At The Ansara Law Firm, our goal is to help you make sense of the process and discover your options and viable defenses to better your chances of a good outcome. To understand your options, our DUI lawyers have collected some of the most commonly-asked questions to help you begin. This Florida DUI FAQ list will help you better understand the charges you are facing, potential consequences of conviction and how we work to help you minimize the impact of these charges. When can I be charged with DUI? Will I need an ignition interlock device? Can I defend myself against DUI charges? My friend was taken into custody after being arrested for DUI. How do I get them out of jail? What is the legal BAC (blood alcohol concentration) limit to legally drive in Florida? Can I get a DUI if I take medication that my doctor has prescribed to me? During a DUI investigation, is it better to refuse to take a breath test than to blow? What can hiring a lawyer do for my DUI case? I was charged with DUI in Florida but I live outside of the state. Do I have to come back and go to court if I retain an attorney? What signs do police officers look for when conducting a DUI investigation? What kinds of tests will I be asked to perform for a field-sobriety test? Is a DUI a felony or a misdemeanor in Florida? How do I get my license back after it has been suspended for DUI? What should I do if I am being investigated for DUI? How can a police officer tell if someone is under the influence of drugs rather than alcohol? What is the 10-day rule? What are the parameters placed on BPO licenses? 1. When can I be charged with DUI? In the state of Florida, you may be charged with a DUI when your blood alcohol content (BAC) is above the legal driving limit of .08. You may also be charged if you demonstrate noticeable impairment of your normal faculties caused by drugs or alcohol, even if you are technically below the legal limit. Finally, teens may be charged under a zero-tolerance policy, as outlined in F.S. 322.2216. This law allows those under-21 to be charged with DUI if their blood-alcohol concentration is at or above 0.02. 2. What are the penalties for a DUI? Penalties for a DUI in Florida depend upon whether you have ever had a conviction for driving under the influence in the past and on whether there were any aggravating factors. For a first offense, you may be fined between $500 and $1000 unless your BAC exceeded .15, in which case you may face a fine of between $1,000 and $2,000. First time offenders must do a minimum of 50 hours of community service and can serve up to six months in jail, or up to 9 months with a high BAC. The fines, community service and incarceration time just go up from there. For instance, once you are on your fourth or subsequent conviction, you will be fined a minimum of $2,000 and face up to five years of imprisonment. 3. Will I need an ignition interlock device? An ignition interlock device is a device that requires you to have your breath alcohol level tested before you can start your vehicle. Under Florida law, any driver who is convicted of a second DUI offense is required to have an ignition interlock device. If you are required to have a device installed, you will need to pay for the costs of installation and ongoing reporting/maintenance. 4. Will I have a criminal record? DUI is a crime in the state of Florida. You may be charged with misdemeanor DUI or with felony DUI if you are a habitual offender. Your misdemeanor or felony conviction will show up on your criminal record, just like any other criminal conviction. There are, however some opportunities in certain cases to plead the charges down or to enter first time offender programs that will allow you to avoid having a permanent criminal record if you comply with certain requirements. The Ansara Law Firm will help those charged with Fort Lauderdale DUI to determine if any of these options may be available to you and will prepare your case for trial. 5. Can I defend myself against DUI charges? It is possible to defend yourself against DUI charges. 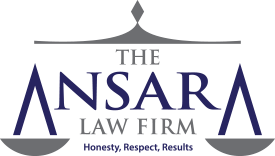 While every case is different, The Ansara Law Firm may be able to help you raise a number of defenses, including a faulty breathalyzer/ BAC test. You may also be able to argue insufficient evidence or that a violation of your constitutional rights occurred and that evidence against you should be suppressed. The best option if you wish to defend yourself against Fort Lauderdale DUI charges is to speak with an experienced Boward County DUI lawyer to learn about what defenses may be available in your particular situation. 6. How Can A Lawyer Help Me? Hiring a lawyer is the best way to respond to DUI charges. Your DUI attorney will explain your legal rights and review your case to provide you with details on the best course of action for avoiding the serious consequences of a DUI. Our experienced Fort Lauderdale DUI attorneys look forward to helping you through this process, and obtaining the best possible results. Further questions can be answered in a free initial consultation. 7. My friend was taken into custody after being arrested for DUI. How do I get them out of jail? Call a bondsman and pay 10% of the set bond required to release them from jail. Then, call an attorney right away to discuss their rights and formulate a plan of action for the court proceedings. 8. What is the legal BAC (blood alcohol concentration) limit to legally drive in Florida? If you are 21 years old or older, the maximum BAC one can legally operate a motor vehicle with is 0.08%. If you are under the age of 21, the state of Florida’s Zero Tolerance policy applies to you, where the legal limit is reduced from 0.08% to 0.02%. 9. Can I get a DUI if I take medication that my doctor has prescribed to me? Yes. Even if your doctor orders that you take certain drugs and writes a prescription, those drugs can still alter your ability to think and act in a safe manner when behind the wheel of a car. Ultimately, it is at their discretion. If a police officer does not suspect that your medication could have impaired brain or motor function, it is unlikely that he or she will issue a DUI citation. If the opposite were to occur, meaning the officer does suspect that your prescribed medication is inhibiting your ability to drive safely, then he or she will issue a citation for DUI. 10. During a DUI investigation, is it better to refuse to take a breath test than to blow? When you submit to a breath test, there is a hard, quantified, undisputable measure of exactly how much alcohol is in your system. You have the right to refuse a breath test in a DUI investigation, however under Florida law, a refusal can be used as evidence against you in court and your license will be automatically suspended for a year. The upside to this scenario is that there is no hard evidence of intoxication other than the refusal, which a good DUI attorney would bring up in court. By refusing to blow, you do not give law enforcement any hard evidence for conviction which could help you in court. 11. What can hiring a lawyer do for my DUI case? Hiring an attorney is always your best course of action whenever you deal with the law or the legal system in any case. Hiring a lawyer is the difference between going to jail, having to pay large fines, having a permanent criminal record, having your driving privilege revoked, and having a hard time finding a job with a DUI on your record versus paying court costs, taking a diversion program and having the charges reduced or even dropped. It is without a doubt in your best interest to hire a lawyer for any case, especially DUI. 12. I was charged with DUI in Florida but I live outside of the state. Do I have to come back and go to court if I retain an attorney? Typically we can handle a DUI case without our clients having to step foot inside a courthouse. We can appear on your behalf and resolve the case in such a manner. 13. What signs do police officers look for when conducting a DUI investigation? 14. What kinds of tests will I be asked to perform for a field-sobriety test? Common test include the Heel-to-Toe test in which you will be instructed to walk in a straight line touching your heel to your toe with each step. You could be asked to stand on one leg and maintain balance as well. 15. Is a DUI a felony or a misdemeanor in Florida? The short answer is: it depends. First and second time DUIs are usually charged as misdemeanors, however it could be considered felony DUI if serious injury upon someone occured. 16. How do I get my license back after it has been suspended for DUI? If you license has been suspended, you can apply for a hardship license, meaning the court will consider granting you a temporary conditional driver’s license that allows you only to travel for work, school, church or medical purposes. 17. What should I do if I am being investigated for DUI? 18. How can a police officer tell if someone is under the influence of drugs rather than alcohol? Every law enforcement agency has units dedicated to DUI and DUID investigations. Specially trained police officers monitor physical signs and symptoms of drug intoxication and can conclude through investigation if a suspect is in fact under the influence of certain types of drugs. Obviously, prescription pills will not affect the numbers on a breathalyzer, so DUID charges are issued with nothing but the officer’s discretion or an admission of guilt by the suspect. Questions like “are you prescribed any medication?” or “have you taken any drugs tonight?” are bait that officers use to get a confession out of a driver. 19. What is the 10-day rule? Under Florida law, there is a rule that states that somebody who is arrested for DUI has ten days to formally choose one of two options: One is an Administrative Hearing which can determine if the arresting officer had probable cause to arrest you for DUI, and the other is to waive your right to a review hearing in order to be granted a Business Purpose Only (BPO) license. If one have been arrested for DUI, their license will automatically be suspended, so it is important for those who depend on driving their cars to work to apply for a BPO immediately unless advised otherwise by their attorney. 20. What are the parameters placed on BPO licenses?